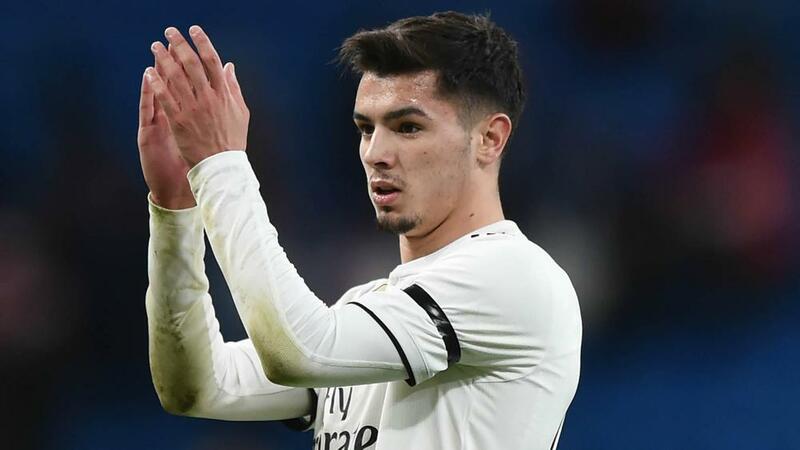 Brahim Diaz described his Real Madrid debut as a "dream" after making his first appearance since arriving from Manchester City. Diaz swapped Premier League champions City for LaLiga giants Madrid on a six-and-a-half-year contract in a move worth a reported initial fee of €17million last week. And the 19-year-old attacker debuted on Wednesday after coming off the bench in Madrid's 3-0 Copa del Rey victory over Leganes at the Santiago Bernabeu. Speaking afterwards, Diaz said: "This is great, an unforgettable and unique day. "Making my debut at the Bernabeu is great. This is a dream since I was a child. "Winning makes the dream greater, but I take everything in peace. I will hang my debut shirt in my room." Diaz added: "Sergio Ramos has congratulated me and told me to continue like this, and that I will have many minutes. "He is a top player and playing with him is to enjoy the moment and this dream."